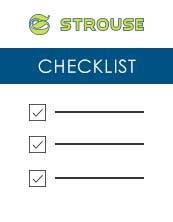 Industries and Markets Served | Strouse - More than Tape. Strouse has diverse manufacturing capability for precision die cutting of pressure sensitive adhesives. That’s what allows us to solve adhesive applications in every market. We were founded in 1986 and have been helping our customers save time and money, reduce labor, increase product performance and efficiency while bringing their products to the market faster. What we've learned in the automotive and electronics industry is now helping us create innovative medical solutions for tomorrow. Strouse is a 3M Preferred Converter of pressure sensitive adhesive and flexible materials. Every industry has its own unique set of requirements and issues that need to be considered when customizing solutions. Strouse understands this challenge and has been answering the needs of our customers in virtually every market for over 25 years. Our experience with adhesives from highly recognized suppliers combined with our diverse knowledge of design and process engineering principles allows Strouse to participate in a wide spectrum of industries. Industries that Strouse provides custom die cut solutions for include: Electronics Automotive Medical Renewable Energy Appliance Defense and more. Solutions come in many different shapes and sizes, regardless of the industry you are in. We provide everything from low tack applications to multi-layered components and large die cuts all precision cut to spec. High speed automatic application requires the understanding of how the adhesive and the equipment work together to dispense the die cut to your part. Strouse makes the investments needed to support the many markets we work with like large format rotary presses, Class 10,000 (ISO 7) clean rooms, laser cutting, 6-color flexo printing and real-time video inspection. Regardless of the industry our sales and engineering teams offer solutions that minimize material waste and save production time, something that every market has in common. To put it simply, if you need to attach, apply, bond, laminate, seal, label, or protect. You want to call Strouse.